Republican gubernatorial candidate Mike DeWine has been fighting dirty, frequently going after his Democratic opponent Rich Cordray with negative — and untruthful, dishonest — attack ads. The smear attempts have done little to aid the waning DeWine campaign, according to new polling data. Recently released polling data from NBC News and Ipsos show the race for the governor’s seat locked in a dead heat between Cordray and DeWine as the two contest for John Kasich’s soon-to-be-vacated seat. NBC News, in association with Marist College, has data showing Cordray pulling into a tie with DeWine. Each hold a 47 percent share among both likely and registered voters. This is a contrast from NBC’s previous polling in June, when DeWine maintained a lead of 4 percentage points (46 to 42) over Cordray. It’s little surprise to see the gap close quickly on DeWine. 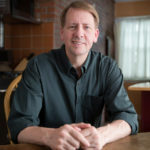 The Ohio Attorney General has been lambasted for frequently and dramatically lying about Cordray in negative attack ads, per prominent fact-checkers at Politifact. DeWine has shamefully lied about Cordray’s position on Issue 1, painting his Democratic opponent’s support for a plan to help address Ohio’s opioid epidemic as a plan to keep drug dealers on the street — an outright lie. He has lied about Cordray’s taxation plans as well. DeWine has even lied about his own positions on Ohio’s Medicaid expansion, a feature of the Affordable Care Act that he so vigorously opposed. These lies are shameful in any context, but even more notable when you consider that the same Ipsos polling data referenced above found that Ohioans’ two most pressing issues in the upcoming gubernatorial election are healthcare and the economy. The lies and half-truths from DeWine have been trumpeted with the help of millions of dollars in PAC money, placing them prominently on television and radio spots around the state. They’ve done little to help the ailing DeWine campaign, which has seen its lead evaporate over the summer, but most still be described for what they are — dishonest attempts to lie to Ohio’s electorate.